Good News! 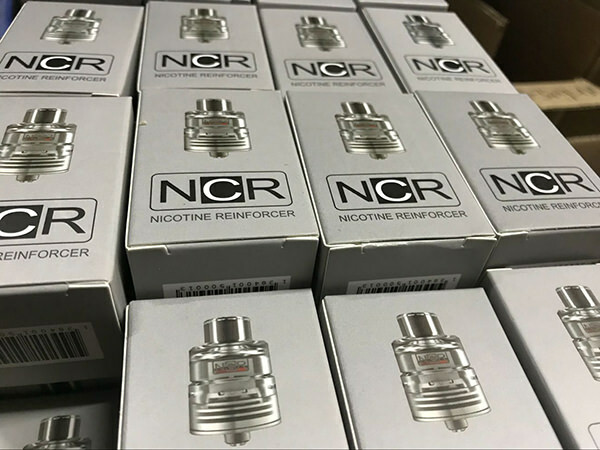 NCR Nicotine Reinforcer RDA In stock! Except from the snowy white shape, NCR Nicotine Reinforcer RDA has a unique coil-free design, from which you can get rid of the complicated wire design. And, if you are lazy, it is a totally good news for you, because it is so easy to clean, you don't need to take apart every accessory any more! Please remember to login to get big discount! The 600,000 times cycle-use WAFER heater holds the resistance of 0.4-0.5ohm, and it is capable of self-cleaning with short-time dry burning in 30-40W. This pack also comes with a heat-isolation gasket.